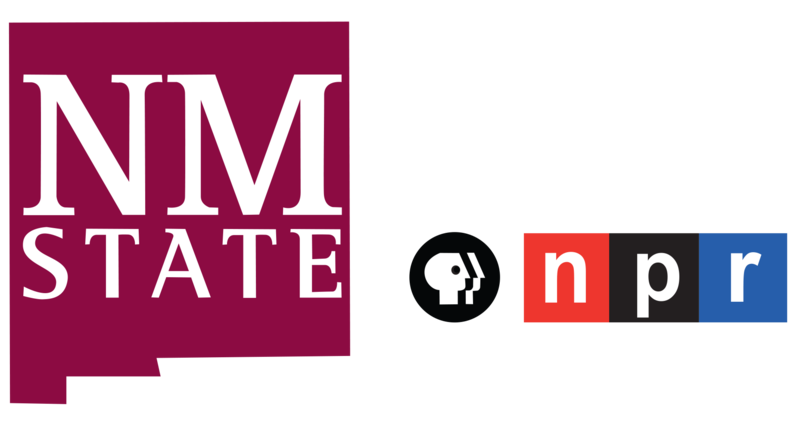 An interview with Erlinda Portillo, President of Bellas Artes Sin Fronteras, Inc.
Erlinda Portillo at KRWG FM studios. Feliz Navidad! 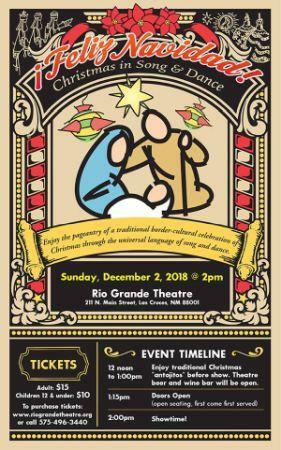 Christmas in Song & Dance, Sunday, December 2nd at the Rio Grande Theatre, Downtown Las Cruces. 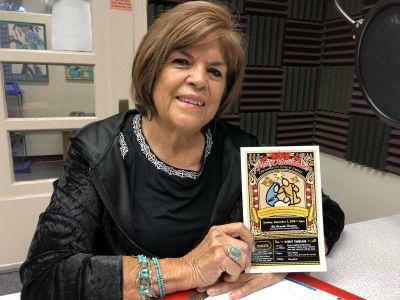 Las Cruces, NM – On this edition of PUENTES a la comunidad, bridges to the community, host Emily Guerra met with Erlinda Portillo, President of Bellas Artes Sin Fronteras Inc., to talk to us about their Christmas program, “Feliz Navidad! Christmas in Song & Dance,” Sunday, December 2nd at 2 p.m. at the Rio Grande Theatre, 211 N. Main Street in Las Cruces. Portillo says it will be a “pageantry of a traditional border-cultural celebration of Christmas through the universal language of song and dance.” She invites everyone to arrive at 12 noon to enjoy traditional Christmas “antojitos” before the show. Tickets are available by calling Portillo at 575-496-3440 or at www.riograndetheatre.org.